Starting your own Blog can be an exciting and a daunting time. Here is the ultimate guide to help you decide which platform is right for you. You have an idea and are full of content. You want to lift your idea off the ground but you are faced with nothing but questions and these choices are what is preventing you from sharing your wisdom with the world. Yes, choosing the right platform will mean the difference of an enjoyable experience or one fraught with anxiety, misunderstanding and an all round bad time. If you work with a platform that is too difficult, you will soon lose interest in your passion and soon put your idea on the shelf for another time. So what do you do? You have heard a million of good things about WordPress but upon inspection, you are unsure if you can wade through all of its details. Someone mentioned Squarespace to you but t you don’t know much about it and therefore do not have a lot of trust in its product. So what do you decide? I was approached by a realtor friend, Ayla, who wanted to start a blog that showcases not only her listings but all things food, design and Vancouver so it would be an all in one go to place. Think of “come for the listing and stay for the recipes”. 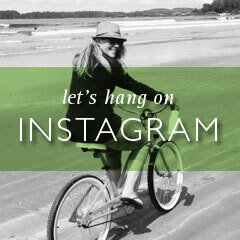 It is a great concept and her photos are brilliant. Many years ago (ok, so only perhaps 5 but in the internet age, I may as well be talking about the 1950’s), I was asked about using Squarespace for a website. 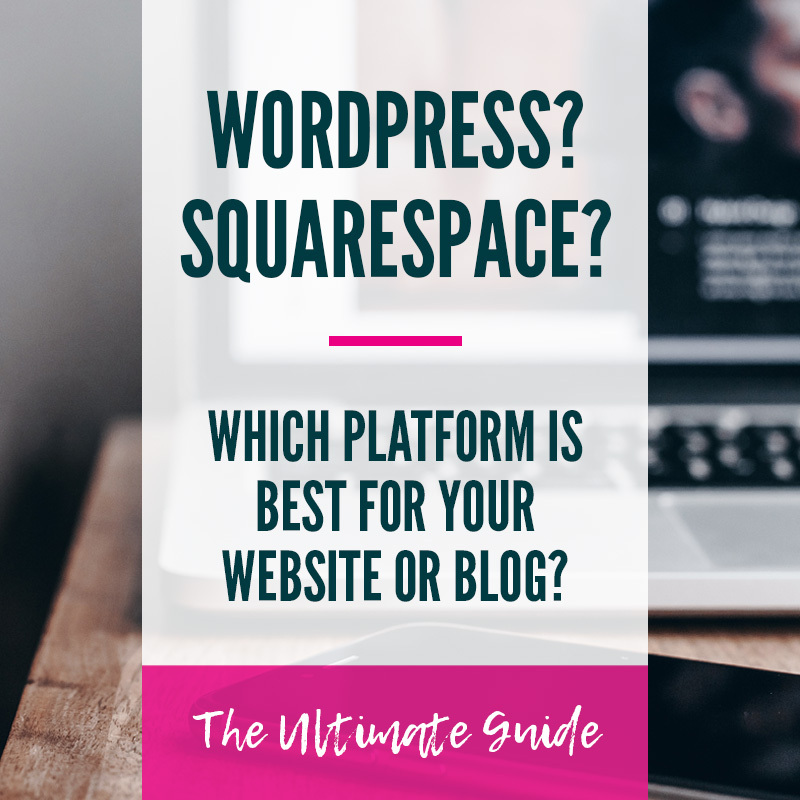 At the time, it was no question to forgo it and create a WordPress site but since then, Squarespace has upped their game and become very competitive, so if it was a choice you once wrote off, you may want to take a second look. So Ayla asked me point blank: What do you recommend I use? and I paused. I was reiterating this story to my fiance, Joe and he asked what I recommended and again, I paused. This pause was only because the real answer comes down to: It depends. Yes, you came all this way for some direction to only find out that the answer varies. Fear not. The metrics to which we make this decision falls back onto your lap. There are many questions you need to answer to help you decide which platform works best. However, to understand those answers lets take a step back and discuss some of the big differences. A lot of people find talking about websites very abstract so I will use an analogy. More often then not, running a website is an extension of your business or the sole place for it. Therefore we don’t think of it as a brick & motar place and that is where the disconnect begins. So let’s start thinking of your site as a physical entity. They are really not that different. When you want to start a website you are faced with domain names, hosting solutions and platforms. If you open a business, you could be faced with which franchise to purchase and what mall to open it in with the domain being the franchise and the mall being the host. That analogy was working well until Ayla asked me which platform she should use, WordPress or Squarespace? That brought in a new level to the analogy so I said this: Do you want to own the building? or just rent a space within one? Both have pros and both have drawbacks. When you rent a space, there are specific parameters that you must follow. In this scenario, you have no say where the bathrooms may be, hours of access and there is rent due each month. When you own the building there is more control but with that there is more responsibility such as security, maintenance and sub contracting for specific needs. You see when you build a WordPress site, you are responsible for finding the domain, the host and the Design theme. Essentially it is the whole kit & kaboodle. Squarespace finds your domain, provides the hosting and presents a limited number of designs to choose from. So while Squarespace has a nice all in one package they offer its customers, the more advanced may find it limiting in what they can do but if you do choose the path of WordPress, there are things like back end maintenance and cyber security you must watch. So when you break it down there, the choice falls on what you are comfortable being responsible for. However, you may still not have made a decision on those facts alone so let’s dig a little deeper. Squarespace advertises itself as an all in one solution for your needs. It finds your domain, puts together your hosting and provides you design templates all in a few simple clicks. It is that easy. If you already purchased a domain, that is not a problem and you can transfer it over. If the domain that you were looking for is taken, they will provide some other suggestions. However, the selling feature do not stop there. When you use Squarespace to build your website, they provide hosting and with that they insure that you are using the most up to date, mobile optimized secure hosting. These are the random details that you may not want to fill your head worrying about. So let’s get to it… Here is a breakdown of the features that Squarespace offers against those of WordPress. For this discussion, I am sourcing these features off of the Squarespace Full Features page. All of these features expand the descriptions. Cover pages are a fancy way of saying 1 page website. There are themes designed that have this feature available or one can just design one page. As the many of the design aspects are the same in WordPress as it is in Squarespace, the big difference is supposed to be ease of use. If you want to know what features Wodpress offers depend on theme you choose hence why the choices are limitless. You have sold me on Squarespace. So Why would I consider WordPress? I have spent the last several minutes selling you on Squarespace so why would you even consider WordPress? Well, as mentioned above, if you want to buy the building, then this is the right choice. It isn’t for everyone but there are many that are up for the challenge. Going down this road gives you so many more options. You have choices where to source your domain, where to host your site and what themes to choose from. Lucky for you, I recommend some of my more trusted and favourite sources. What I like about this road is that I can compare. I like choices. I like being in control of what I use and buy. I love a bargain and places like Bluehost, have sales from time to time so you can sometimes find a screaming deal on all things hosting which is great for the wallet. If you are enjoying the choices available to you, they don’t end there. Once you have set up the framework of your site (domain/host), you are not only face with unlimited choices of themes but what you can do with them. Think of it being a blank room with white walls. Sure there are examples but even those seem to be a bit over the top for your needs. To dig a little deeper, what I mean about limitless choices in design is that there are literally thousands of wordpress themes. There are many out there that cater to a specific need. You may find a theme for blogging or one for a real estate business or one for your wedding. Once you have chosen that theme, and have installed it, you can soup up that theme with limitless plug ins and many of them are free. What I like about WordPress is that you could be designing your site and half way through think “What if I want to add X?”. Unless you want to hard code it (not likely), you can search in add plugins for the very feature you require and the results are usually plentiful. Very often, do you not only find your solution, but you find multiple solutions and ones that are varied so that you can keep customizing your ideas down to the minutea. This could either be exciting or overwhelming depending which side of the fence you sit. I’m a designer so I want the choices. I have a basic understanding of what themes will or won’t do for me. If I were new, this would be too much and would want a curated list of choices. And that is what you get with Squarespace. For exmaple, if you want to add a gallery, you are limited to what Squarespace offers you as gallery options rather then seeking out & customizing yours. You are also limited to their navigation, menus, banners etc.. There is some variance but ultimately there is no breaking the mold. WordPress allows you to customize everything on your site from start to finish. With all of the themes there are available + all of the plugins at the ready, there are countless possibilities to design for your site. This is great for a Designer like me. I love not being tied down to one solution based system. Additionally, with themes becoming more & more sophisticated, there is more I can design + program rather then depend on a programmer to do my dirty work. Lastly, one of the main reasons I started to focus on WordPress site is that it was very easy to find programmers that specialize in wordpress. If a programmer were to stop working with me one day, it was easy to find someone that could step into their role. The continuity aspect is an important aspect for me as I don’t want to be faced with starting all over again, because of personnel changes. So those are the features but like most things, we want to know what the bottom line is which is… How much will all of this cost me? With Squarespace, there is no free option. There is a 2 week trial but after that, you must be paying into one of their packages. Squarespace offers package pricing but what makes them different is how they Catagorize these packages. You can choose either a Personal Site ($12/month), Business ($18/month) or a basic or advanced Commerce ($26-40/month). In the last year or so, they have updated the way they catagorize and updated their prices so your fees are subject to change and you may not always have control of the costs. It isn’t like WordPress is a free version. You still have costs for your domain & hosting. If you choose a free theme and are able to modify it for your needs, then there is limited costs. However, if you are like most, you may need to hire a designer to help you bring your site to life so it could have a bigger upfront cost. However, again, you are in control of your prices. So in conclusion let me ask you this? What do you want to do? What do you want to be responsible for? If you want to use squarespace, great. I wish you happy designing. If you decide that wordpress is more up your alley and need some assistance, drop me a line & we can see what magic we can create! High Performance Web Hosting with everything you need. Unlimited hosting on solid state drives (SSD), domain, email, ssl, privacy & more. If you need any further assistance in setting up your site. Do not be afraid to ask. I bring 20 years of design to the table and I offer one on one strategy sessions or I could handle the design of your site.